It’s hard to believe that it’s been 20 years since Over The Rhine issued its debut album. 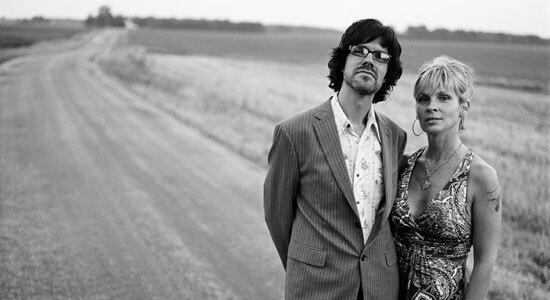 The Ohio-based husband-and-wife duo of multi-instrumentalists/vocalists Linford Detweiler and Karin Bergquist have marked the anniversary with new album The Long Surrender, which was produced by Joe Henry at his Garfield House home studio and features an assortment of musicians handpicked for the project by Henry, including Lucinda Williams. Though Detweiler and Bergquist had never worked with Henry or his assembled backing band before, The Long Surrender was finished in less than a week. The fan-funded, 13-track album was just released via OTR’s Great Speckled Dog Records, which the duo named after Elroy, their much-loved Great Dane who passed away last year. 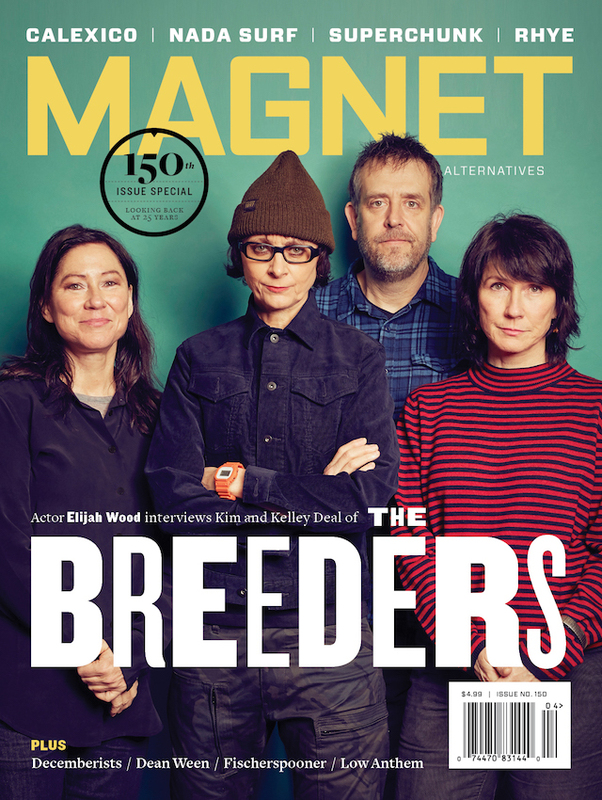 Detweiler and Bergquist will also be guest editing magnetmagazine.com all week. We recently caught up via email with Detweiler, who answered our questions as Bergquist peered over his shoulder. MAGNET: You worked with Joe Henry on the new album. What prompted that, and how was the process different from previous records? Detweiler: We were very much drawn to a number of records Joe had produced and had slowly but steadily moved his name to the top of our list of potential producers. What made the choice interesting to us was we couldn’t imagine in advance what an Over The Rhine record produced by Joe Henry would sound like. We wanted to be surprised. The process of recording was different in a number of ways. It seemed like Joe put most of his energy into listening to the demos, then deciding which musicians needed to be in the room to best serve the songs. Once he made that decision, the focus shifted to trying to capture an event: all the musicians playing together in Joe’s house, Karin singing with the band for every take. When we actually began playing together, we immediately knew that the right musicians were indeed in the room. We closed our eyes and leaned in, and it felt like the whole house lifted off the ground, drifted upstream and exploded. The album was done in less than a week. Have you ever worked that fast on a record before? No. We began recording on a Monday, in the afternoon. We had the record done the following Friday afternoon, always leaving time each evening to gather around a table and share a meal upstairs at The Garfield House. Joe says there are at least six or seven first takes on The Long Surrender. Songs we only played together once, and what you hear is what we heard, what actually happened. You co-wrote two of the songs with Joe, right? How did that work? Joe chose the musicians on the record. What was that like, working with new people in a new surrounding? It was exactly what we needed, exactly what needed to happen. We wanted to leave our familiar surroundings behind, surrender our expectations and let something unpredictable transpire. We wanted to be surprised, and in Joe’s words, “Blow the seams out of the songs.” It was truly the week of a lifetime to be able to lean into the songs with such amazing players: Jay Bellerose on drums and percussion, David Piltch on upright bass, Greg Leisz on pedal steel or lap steel or mando-cello or tenor guitar or Weissenborn or any number of wonderful instruments he kept within easy reach. Keefus Ciancia was the man behind the curtain: He summoned up a subtle array of real-time orchestrations from his out-of-date synthesizers and samplers, helping everything feel more three-dimensional, cinematic, each take a unique experience, never to be repeated. Patrick Warren joined us mid-week and subtly expanded the palette with his beautiful harmonium playing and Chamberlin library. And, finally, Levon Henry joined us with his tenor saxophone, appearing in the third act of the record like a young guardian angel. You have said the title The Long Surrender speaks to your ongoing desire to let go of certain expectations—and much of what you are convinced you know for sure—in favor of remaining open and curious. Does that apply at all to the way you recorded the album? Yes, indeed it does. And hopefully, it’s a subtle invitation for listeners to surrender 55 minutes of their life to this music: listen to the record from beginning to end as a complete experience. Lucinda Williams sings on “Undamned.” How did that come about? Did she do her part at Joe’s studio while you were there? When it came to song selection, we didn’t think “Undamned” was going to make the final cut for the record. But Joe had a feeling about the song and thought of Lucinda Williams and sent her the demo. The song resonated with her, and she offered to sing on it. She came to The Garfield House one evening and leaned into the microphone, and I don’t think there was a dry eye in the room when we heard the two voices together. An amazing moment for Karin and me because Lucinda’s songs and records and voice have traveled with us for years. The album was fan-funded. Can you explain the process of how that worked? Is that something you will continue to do going forward? When we realized we were going to travel to the West Coast to work with Joe Henry, it felt a bit like an adventure was unfolding, and we decided to invite our audience to come along for the ride and buy a record that they had not yet heard. But we didn’t ask for something for nothing: For $15, fans received their CD a few months before street date with three bonus tracks and got their names listed on our website. For $50, they received the above, plus all the demos, plus their name in the actual liner notes. For larger contributions, they could receive all the above plus the deluxe box-set edition or executive producer credit or a private performance in their home. We had fun with it, and the whole thing felt communal—it felt like we received a blessing of some kind. We’ve already had people asking, “When can we do it again?” I think we all enjoyed the reality that we joined together and made something. There was no middle man. What can fans expect from your upcoming tour? Are you doing anything different this time out? I know in December you guys did a hometown show that incorporated an acoustic set, poetry reading and a Q&A. At the end of every year, we throw a little party in our hometown and host a gathering for people who have found our music. We like to get them together in a room and get them talking to each other. Play some music, keep it all a bit more conversational. It’s an opportunity for us to say thanks. As far as the tour, we’ll be touring mostly as a full six-piece band this year. We’ll be very much focused on The Long Surrender. This has been a special record for us, and these songs are deeply connected to this chapter of our lives, but we’ll certainly dip into some of the other records as well. Karin and I will be taking our first trip to Japan in April to perform. It feels like some good things are afoot. Beyond the tour, what else do you two have planned for 2011? We’ve got an old fixer-upper farm on the fringe here in southern Ohio with a pre-Civil War house that needs a lot of work and a couple of big dogs. So this is our refuge from the road, but there’s always plenty to do. We’d like to plant a few more trees this spring, fix a few old windows. When you started the band 20 years ago, did you ever think it would still be going in 2011? What were your goals with OTR then, and how have they changed over the years? Wow. In 1990, 2011 sounded like science fiction. In the early days, I think it was about us proving to ourselves and the world that a couple of music-loving kids from Ohio could snag a national record deal and see the world. But I did sort of think at the beginning that someday we would probably get back to our real lives. Somewhere along the line, music and writing and performing and touring—what Robbie Robertson called “a goddamn impossible way of life”—simply became what we do. We realized we had never had a back-up plan, and still don’t. Now it’s more about the desire to keep writing, to keep growing as writers. More about fully embracing what’s actually right in front of us. We hope we’re late bloomers.